It’s creamy, it’s delicious and it’s fat burning!! 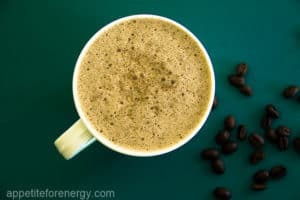 There is a lot of talk about bulletproof coffee these days or keto coffee or butter coffee as it is also known. 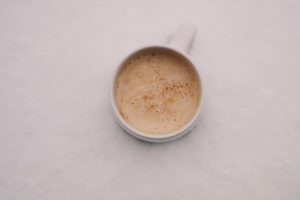 Well there are lots of good reasons to add it to your morning routine and below we share the classic bulletproof coffee recipe as well as the benefits of drinking it. I drink bulletproof coffee most days and it is the beverage of choice for Ketogenic Dieters. It’s also very popular with people who want to hack their energy levels and lose weight. 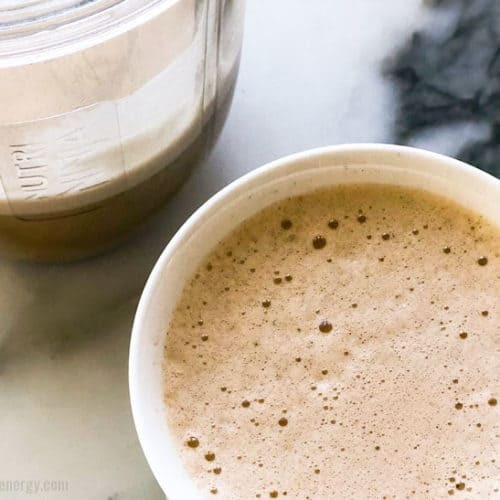 Created by Dave Asprey of the bulletproofexec.com, bulletproof coffee is an energy boosting drink that is full of good fats and has zero carbs. Many people swap their breakfast for bulletproof coffee and because it contains no protein or carbs, they don’t experience the insulin spike you get after eating a high carb breakfast. This means you’re not hungry two or three hours later. What are the ingredients in bulletproof coffee? 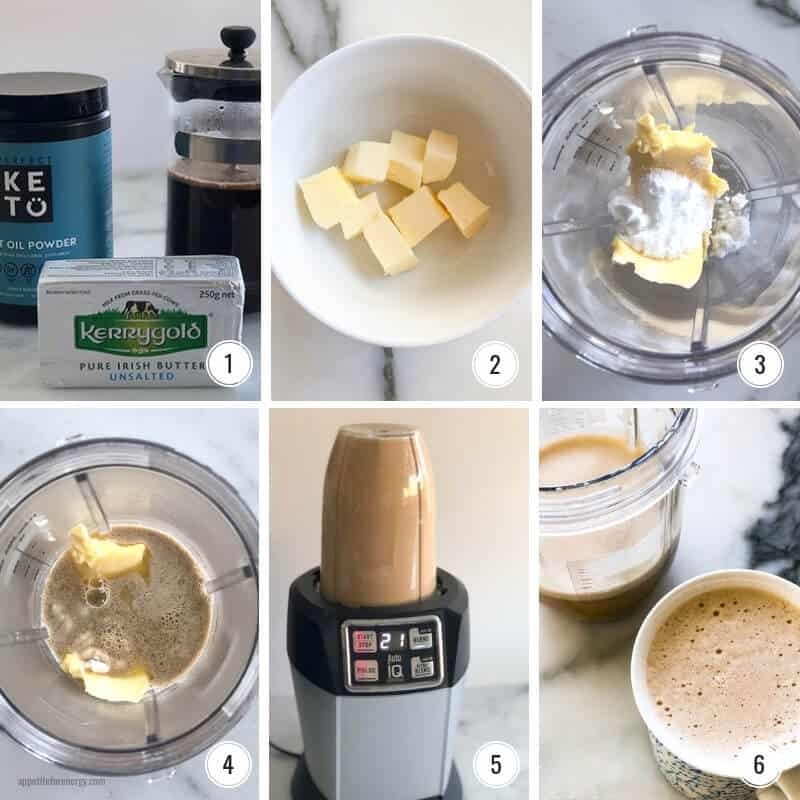 The ingredients in the classic bulletproof coffee recipe are coffee, grass-fed butter and either MCT oil, MCT oil powder or coconut oil. The MCT oil gives you an extra mental boost as it gets converted quickly into energy for the brain and body. Drinking it helps increase good fats in the diet and can keep you feeling satiated for hours. It is also a creamy and delicious drink. 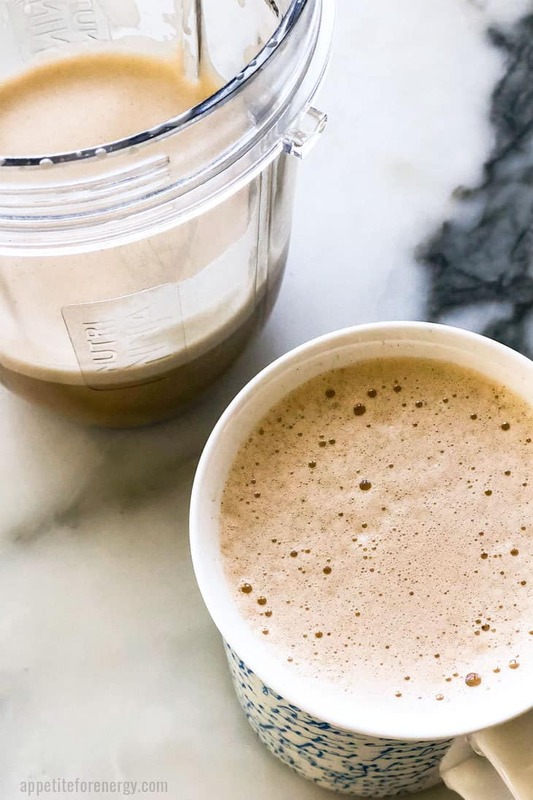 You can make a dairy-free version of bulletproof coffee here. In a hurry? Skip the butter and MCT oil and use Omega Power Creamer instead. 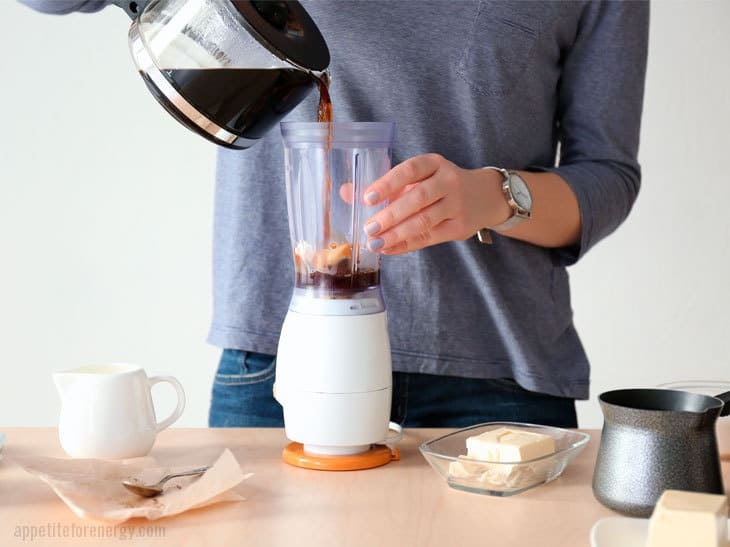 This genius product is an all-in-one blendable creamer. It is basically grass-fed ghee and MCT oil, ready to go straight into your coffee! Blend it up with an aerolatte or use your blender if at home. Sometimes I don’t even blend it! Traveling? Bulletproof coffee isn’t the most travel-friendly beverage so take Omega Power Creamer with you and an aerolatte and you’re set. It comes in a few flavors including Original, Vanilla, Cacao, and Cinnamon. Original flavor is ideal (my favorite) if you don’t sweeten your coffee whereas the other flavors are lightly sweetened with stevia. 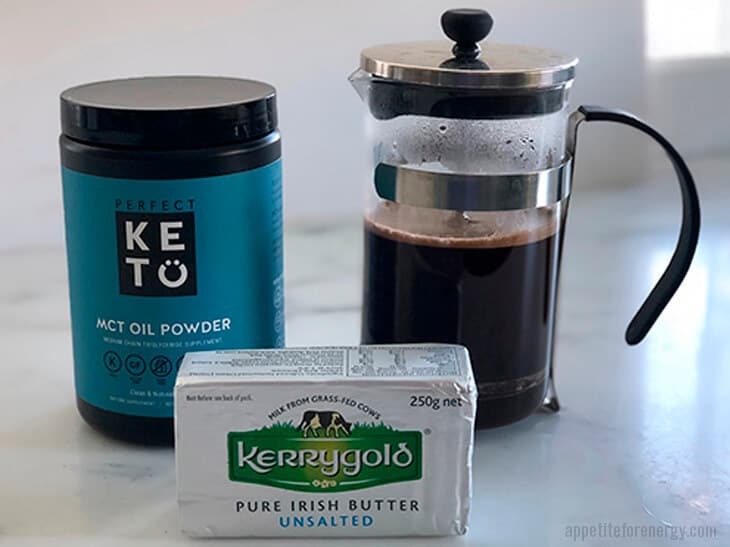 To make life even easier, pack Perfect Keto’s Instant Keto Coffee sachets and simply add the sachet to boiling water. UPDATE: Get 10% off Omega Power creamer with our code APPETITE10! New to MCT oil? Start with 1 tsp and gradually increase to 1 tbsp over several days. Taking too much can lead to stomach upset and what is known in keto circles as “disaster pants”! No caffeine? Decaf coffee can be used. Don’t drink coffee? Instead of coffee, use 2 cups of hot water, 2-3 drops of liquid stevia and 1 tsp vanilla powder (optional) to give flavor. This recipe can be made with tea though the flavor is very different. 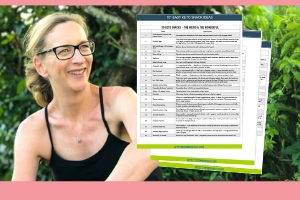 Intermittent fasting is a technique that has been used very successfully by people experiencing a weight loss plateau. This type of fasting seems to kick off weight loss, whether you are struggling to lose weight full stop or have lost weight and are stalled at your current weight. It’s also great as an ongoing weight maintenance strategy. Intermittent fasting is a technique in which you fast for a number of hours during a 24 hour period but not for the whole day. 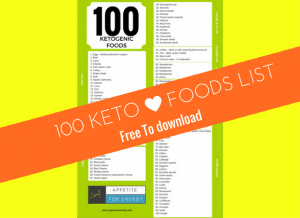 In other words – eat keto or low-carb food during a short window of 6-8 hours. Choose the eating window that suits your lifestyle best. A common fasting period that works for many people is 9pm – 1pm. Stop eating at 9pm and then your next meal is at 1pm the following day. 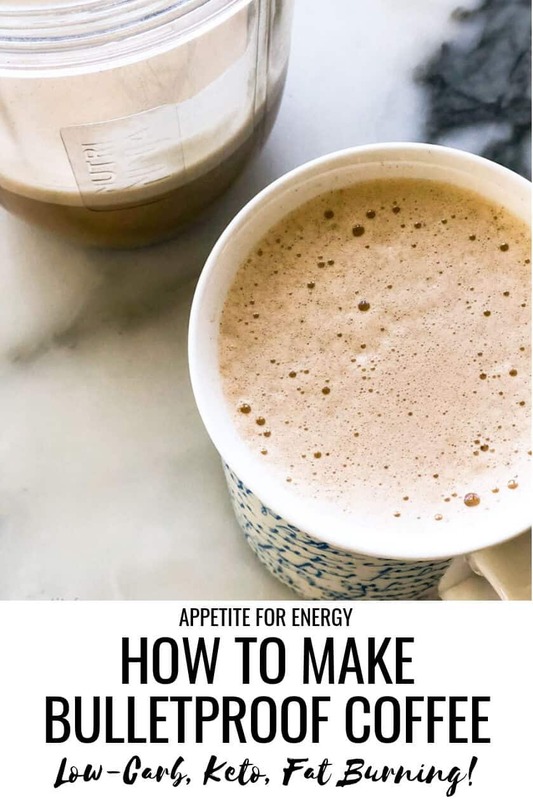 I drink my keto butter coffee instead of breakfast – this is a type of intermittent fasting where you only consume fats during a fasting period and no carbohydrates or protein. The theory behind this is that many of the benefits of fasting are a result of the body producing less insulin. Insulin is produced in response to carbs and protein and excess insulin production is thought to be the cause of the diabesity problem in western countries. When consuming fats ONLY, you kick off a much smaller insulin effect. This signals the body to start burning fat. Intermittent fasting also allows your digestive system to repair as it gets a break from the constant work of digesting food. Fasting allows the body to produce the hormones motilin and ghrelin. These hormones improve digestion and can relieve gastrointestinal stress. Note – consuming no fat and only drinking water, black coffee & tea will also have an insulin reducing effect. Drinking butter coffee though, helps us to feel satiated during the fasting window and makes fasting easier. I always add 1 tbsp Collagen Protein to the coffee mixture. It’s an important supplement which also helps give the coffee that delicious, frothy texture. Collagen is great for great for regulating the metabolism, repairing connective tissue such as bone, hair, skin, nails. The body’s ability to produce collagen starts to diminish in our mid-twenties, so supplementing is a good idea. 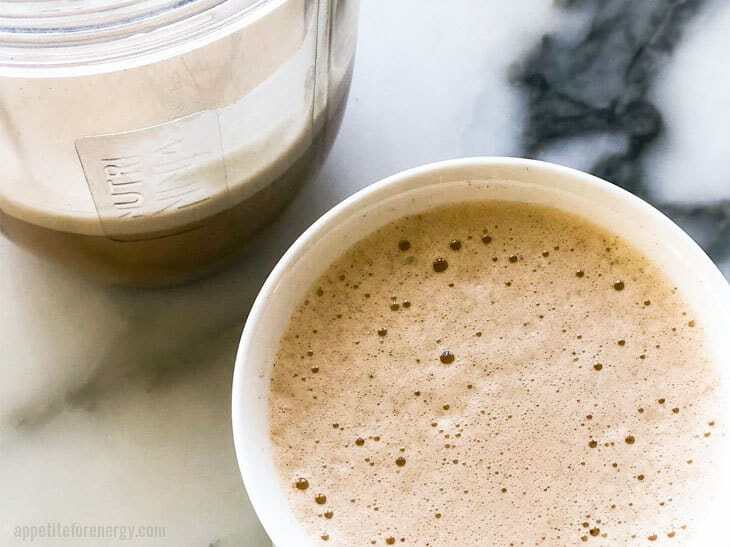 Bulletproof coffee is creamy and delicious and fat burning! Drinking it helps increase good fats in the diet and can keep you feeling satiated for hours. Place ground coffee into french press and add 2 cups boiling water. Mix for 30 seconds in blender or use hand-held (immersion) blender until it is frothy. Start with 1 tsp of MCT oil or powder and increase over a few days. Play around with the ratios of butter and MCT oil to see what works for you. Use grass-fed ghee if you want to avoid dairy. This post was originally published in November of 2016, but was republished with step by step instructions and tips in November of 2018. Can I add stevia to this bullet proof coffee? I never drink unsweetened coffee. Yes – you can add any low-carb sweetener you like. Stevia is great or erythritol and monk fruit too.